Bad weather causes power outages, school closures in northern N.B. Poor weather conditions have forced some schools to close in the northern part of the province on Wednesday. Poor weather conditions have forced some schools to close in northern New Brunswick on Wednesday and has caused close to 1,000 NB Power customers to lose electricity. In the Anglophone North School District, schools are closed in the Bathurst, Dalhousie and Campbellton areas and about 800 customers are affected by power outages in Restigouche County. Environment Canada has issued a snowfall warning for the northern part of the province, which can expect a mix of wet snow and rain throughout the day. Additional snowfall accumulations of 15 to 25 cm are also forecast with the second low pressure system moving in Wednesday night, with highest amounts likely over higher terrain and inland. The weather agency said the snow will be accompanied by strong northeast winds which, could produce some blowing snow giving reduced visibility. A special weather statement is also in effect for the Acadian Peninsula, where strong northerly winds gusting up to 80 kilometres an hour will create large waves and heavy pounding surf along the coast of the Gulf of St. Lawrence tonight and into Thursday. "In addition, higher than normal water levels can be expected near high tide." SNC Lavalin, the company that maintains the highway from Longs Creek to the Quebec border and Route 95 from Woodstock to the U.S. border, said roads are mostly bare and wet today with some slushy and some icy patches. Julia Arseneault, communications co-ordinator for SNC Lavalin, said many areas are still dealing with intermittent flurries, which is supposed to continue throughout the day. 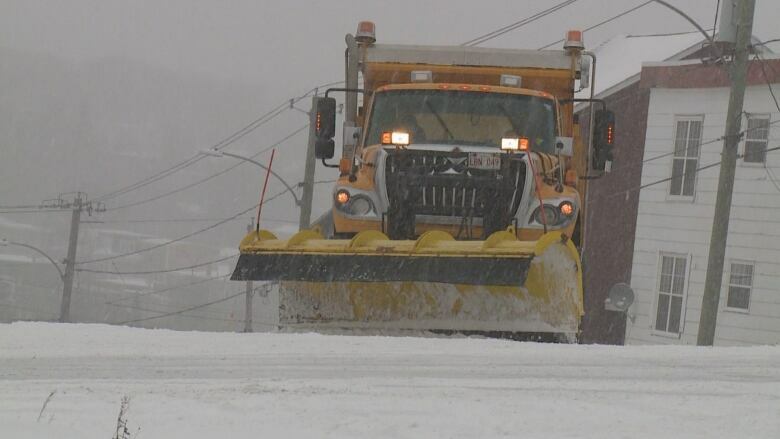 Arseneault said salt trucks have also been out on the highways throughout the evening. "Just keep informed on weather conditions in your area [and] drive with caution," she said. 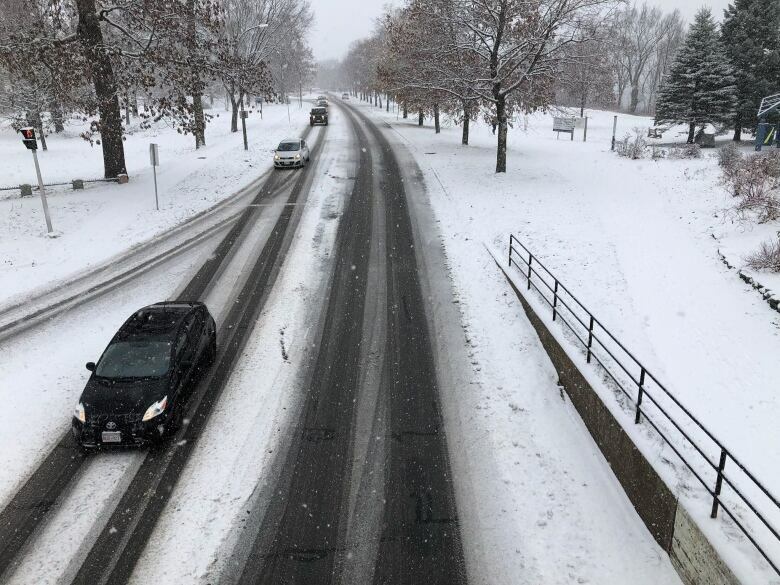 Al Giberson, general manager for MRDC Operations Corp., which manages the Trans-Canada Highway between Fredericton and Moncton, said roads are mostly bare and wet. "Although toward Moncton they are still getting a bit of wet flurries, wet snow and a little bit of accumulation," he said. "But we're looking after that." He's also advising motorists to drive accordingly and "be aware of the driving conditions."